“If we in the Netherlands have to incinerate less waste as a result of recycling then we should be pleased about this. 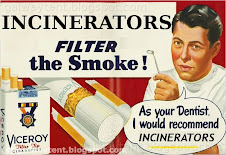 It means, after all, that the incinerators can be closed down and the air cleaned up. Carting waste to the Netherlands in order to aid the mafia is hardly sensible. I don’t think that the Dutch people will be happy breathing in the fumes from the Mafia’s rubbish. Let’s put a stop to this nonsense." Highly efficient recycling means there is no longer enough waste for Dutch incinerators. The machines must be fed. Who ya gonna call? Lawbreaker Covanta in New Jersey? Toni Soprano? Toni Orlando? The Mafia? The Camorrah? According to Dutch paper Het Parool about eighteen thousand (18,000) people die prematurely each year in the Netherlands from air pollution. Amsterdam's premature death rate exceeds the national average by one thousand deaths per year. It is claimed in the newspaper that nobody knows why. 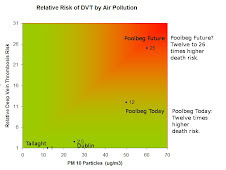 Even Tol Pot at a Dublin 'research' institute funded by the incinerator's promoters denies proof of a link. A massive incinerator fired up in the 90's to the west of Amsterdam. Go figure. Help out the Camorra mafia in Naples. Make tax payers pay for massive health care damages. SP Member of [Dutch] Parliament Henk van Gerven is urging the government to reject plans for the import of waste from Naples for processing by Dutch firms. The waste processing companies want to bring some of the rubbish piling up in the Italian city to the Netherlands for incineration. ‘Carting waste around is always unnecessary,’ says Van Gerven, ‘but it is particularly bad if by doing so we are going to the aid of the Italian mafia. Dutch incineration plants have, on paper, an overcapacity which means that they are interested in the Italian waste. During the last ten years numerous incinerators have been built, despite the fact that it has long been clear that demand in the Netherlands itself was getting smaller. “Low-cost incineration of waste is not a sustainable solution to the problem,” Van Gerven insists. “If we in the Netherlands have to incinerate less waste as a result of recycling then we should be pleased about this. It means, after all, that the incinerators can be closed down and the air cleaned up. Carting waste to the Netherlands in order to aid the mafia is hardly sensible. I don’t think that the Dutch people will be happy breathing in the fumes from the Mafia’s rubbish. Let’s put a stop to this nonsense. Could the overcapacity be due to the decrease in economic activity? With less manufacturing and less disposable income to buy throwaway consumer products, the amount of material requiring incineration has dropped off. Waste-to-energy plants in the U.S. experienced this during late 2008 and 2009, and it may still be an issue. American pop culture, at least, is insinuating that more people are satisfying their dopamine requirements by buying cheap alcohol in non-burnable containers instead of disposable tchotchke in multi-layered paper and plastic packages.